The conference was opened by MA Nebojša Stefanović, President of National Assembly of Republic Serbia, who emphasized the importance of moral renewal of society for further progress and reforme. The introductory speeches were given to PhD Vladimir Marinković, Director of Higher Educational Institution for applied studies of Entrepreneurship Belgrade and member of National Assembly of Republic Serbia; PhD Drago Cvijanović, Director of the Institute of Agricultural Economics, Belgrade; PhD Aleksandar Nikolovski, Rector of first private FON University from Skopje, Macedonia. 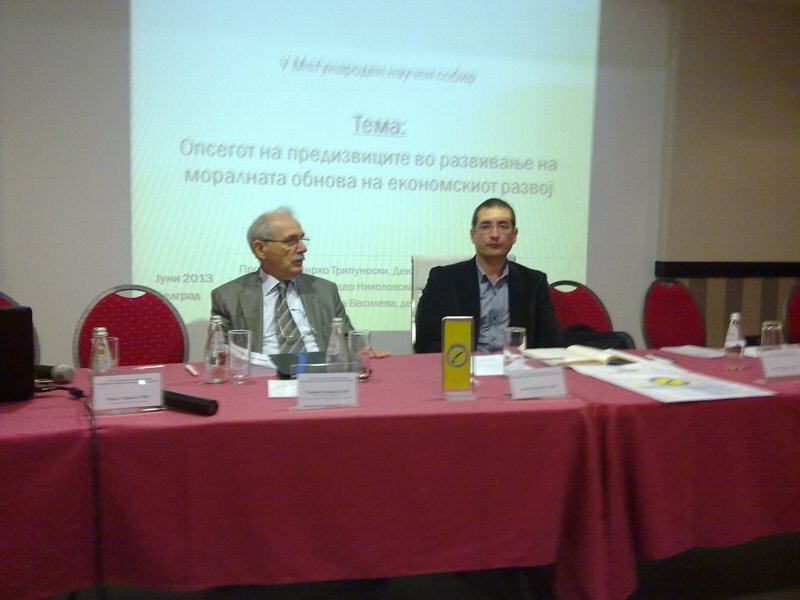 The conference was chaired by PhD Branko Mihailovic, Research Associate, Institute of Agricultural Economics, Belgrade. Conference participants were professors, researchers, students, professionals from different areas from social sciences, public officials, NGO representatives, independent experts and representatives of other areas of public life. 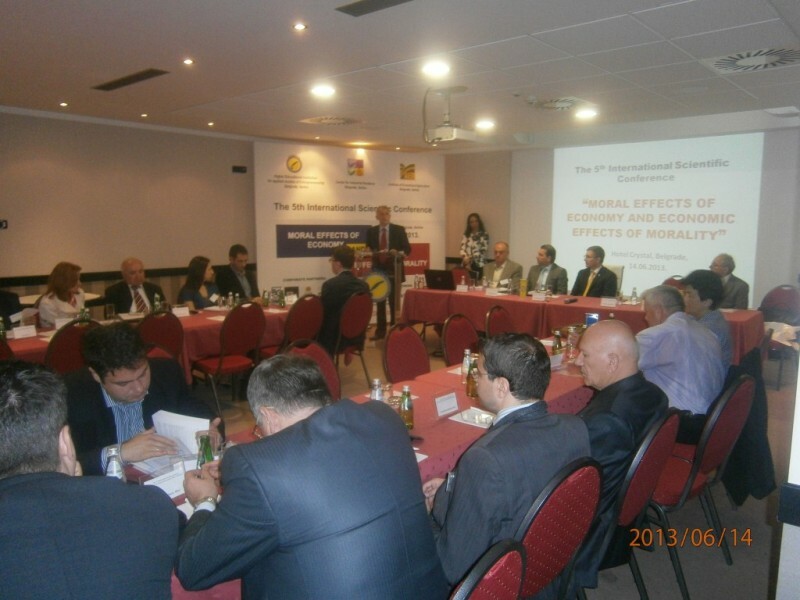 International scientific conference devoted a total of 34 papers, which are grouped into three sections: 1) Human performance and economy as a philosophical and ethical issue; 2) the law, moral and social values in the economy; 3) moral standards in different aspects of the economic life of society. Conference participants noted that ethics in the economy represents very relevant business topic and debates and dilemas about it attracted enormous attention of different interested sites. In fact, as consumers are more and more demanding in relation to companies as it increasingly seeking ethical and environmentally friendly ways of doing business. The media, too, seemed to constantly keep their attention on corporate abuses and failures of all other species. Even the companies seem to be increasingly recognize that what is seen as the moral (or at least see that ethical) can actually be good for business. Ethics can not be simply reduced to the respecting of law, because the legislation is often inadequate to properly edit relationships with others. Consequently, precisely business ethics is a set of moral rules and regulations in relation to the behavior of actors in economic activities (in business), together with legal principles and regulations, provides a meaningful activity and success in business. The main issue in business ethics is to do the right thing. Different philosophies, religions, and individuals gave the answer to "what is right and how do we know that?" In different ways, but we can mention a general consensus, if not universal, in fact, wrong is all that harms or a risk to humans. Finally, the participants concluded that: "Man is not only an economic factor but also an ethical being!"